Are you crazy about football? Do you never miss the international tournaments on TV? 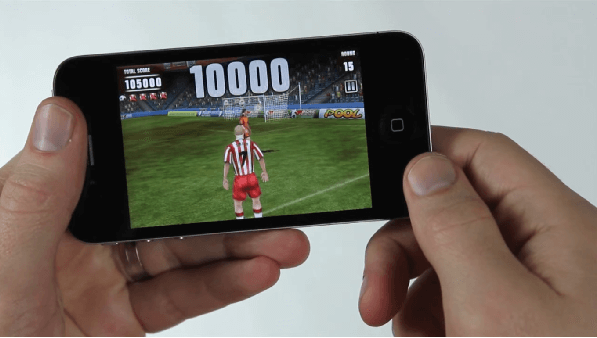 To give you more and excitement of football games, Distinctive Games has designed a football gaming app for you. 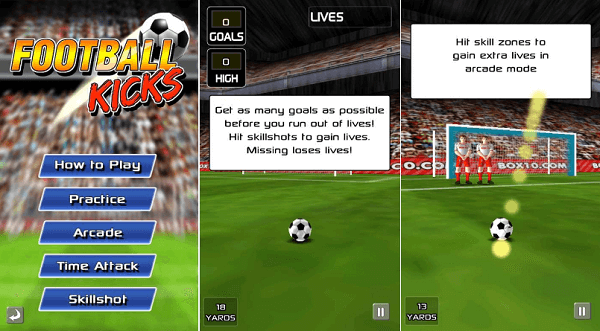 This gaming app is popular as ‘Football Kicks.' You can own a dream team here and train it to play big matches. The app is designed with so much detailing that it will give you the real feeling of watching a match or playing it by yourself. From the corners to the penalties, goal shots to head, here you can practice your football skill and strategies to go upwards on the league table. Apart from that, you can also play Live EUROS football with our latest LIVE GAMES Mode. Capabilities: Use your mobile library, digital network services, and Windows phone sensors. Why Is Football Kicks So Popular? One of the main reason behind the immense popularity of Football Kicks is that here you get the real feeling of playing football with a dream team where you can pick star players from different teams. After selecting your fictional team, you can concentrate on training, and you can also get the opportunity to trading players, improving all facilities and playing an important role in the game by yourself. You must have experienced the previous versions of football games like Football Manager, New Star Soccer, and Flick Kick Football. You can get the whole essence of these games into Football Kicks. When your players are ready to take a brave shot, the action zooms up behind the player. You have to swipe in the direction and pace to hit hard or score a goal. Now, manage your team and resources are extremely basic features of the game. You want to enjoy the exotic features of the game as you cross the levels, right? But, the intrusive IAP system doles out the money that is needed to bring worthy changes at the tremendous slow rate. Therefore, the players have to wait for the next match, or they can level up by spending some money. Besides this, you can speed up your stadium expansion by paying some money; otherwise, you have to wait again to take the maximum fun of the game. The story is not done yet; you have to wait for the end of automatic training too. So, it is too much waiting, no? Again, your team also needs half time for team discussions to boost up their energies. By paying the required amount of money, you can level up and shorten your waiting time and enjoy the game to the fullest. Maybe you will feel us quite repetitive while we say that this game gives you the thrill of real football games, but you will also get how true we are. Through playing, you can earn FK coins which will help you to buy a customized kit, unlock additional stadiums and one of the funniest things is you can get a quirky haircut. The game has customized features where you can design your avatar as your favorite football player, and you can change it per your preferences. The console game level visuals with 3D mode and gives you a choice to play in 3D stadiums. You just need to swipe the screen with your fingers. Any strike, moves, and goals can be done with expert swiping. Initially, it will seem tough, but after few practices, you can be a master of the game. There are four gaming modes among the six where you will get more chances to make goals. The latest and exclusive ‘Win the Euros’ also has this feature. Players can give their team a special name, anything they like and they can customize the look and badge of the game which is fun. As you know there is much waiting associated with the game; there is a time bar to make you aware how much you need to wait for the next up gradation. You can have several navigation menus on your screen while playing the game which will make it easy to play it. The graphics are so enticing that people get engaged in the game for hours, and this can be one of the best cures of your boredom. So, hopefully, you get enough information about Football Kicks. There are obviously some drawbacks of this game as there is nothing like acute perfection. Maybe, you are not interested in spending too much money, and the waiting seems boring to you. But, the game is new in the market and has to compete with strong contemporaries. The developers are trying to upgrade the gaming app and removing all the faults it presently has. But, you can’t also avoid the advance techniques and other exciting features of this game which are making it popular day by day. If you are a real football lover, you will try this game and see how exciting it is. Start playing this exciting mobile football game and score more points on your dream team.